I have mixed feelings going into this play-in game between PC and USC. One the one hand, the last NCAA game that we won was last year against USC on a last second layup from Rodney Bullock. On the other hand, the year before that, we were in the play-in game against Dayton and played horrendously on our way to a loss. Granted, that game was basically a home game for Dayton, but it still brings up some sour memories. Looking at both PC and USC, both teams look very different than they did the last time they played. 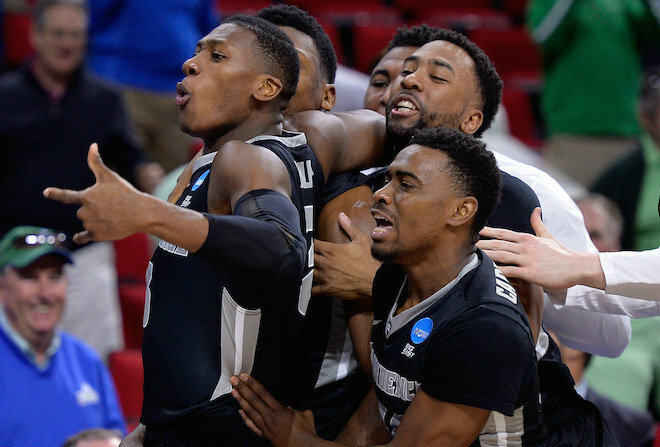 Providence is without Kris Dunn and Ben Bentil, while USC lost 2 starters and their 6th man from last year’s squad. 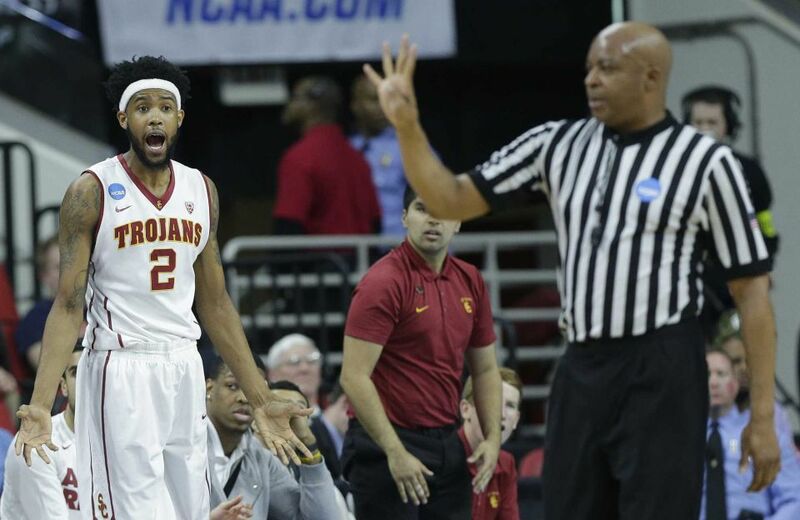 Their two resumes are kind of counter-balances to each other as USC excels at shooting the three and PC excels at defending the three. PC turns the opposing team over a lot and USC doesn’t turn it over a lot. USC started the season strong and faded at the end, losing 4 of their last 6, while PC was able to turn things on at the end of the year, winning 6 of their last 7 games. I’ve seen this game as a pick ’em to a point spread here and there. All in all, summing up that these two teams match up very well with one another, much like last year where the game came down to the final seconds and a 1-point difference. So that’s something that has me a little concerned for tonight’s play-in game. Other than that specific fact, Rodney Bullock needs to be productive early. I know that he is able to turn things on in the second half but he’s also very susceptible to getting down on himself if he starts off cold. We are going to need Bullock offensively if we’re going to make any sort of run in the NCAA tournament. That’s just the truth. Kyron needs to limit turnovers, Bullock needs to keep his head up, and we need to take advantage of the free throw line. 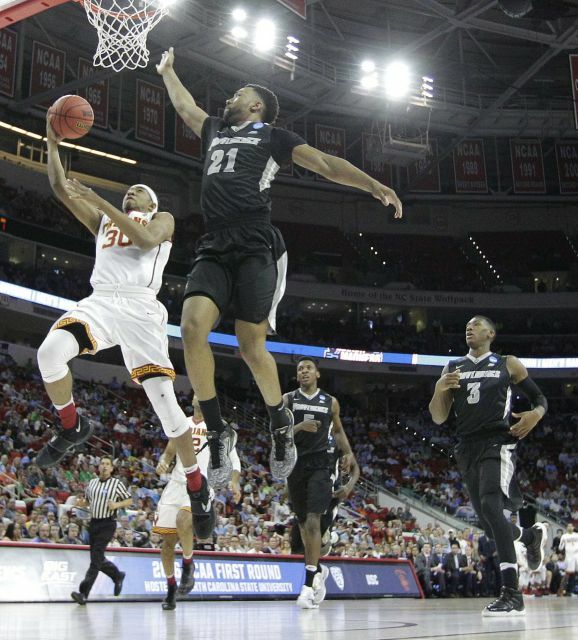 If USC has anyone get into foul trouble, then PC will be in good shape as the Trojans only play about 6 players. I’m already getting pumped for tonight. Some pics from the last year’s game against USC to reminisce about before the tip tonight…which is obviously at 9:10 PM because the NCAA Committee continues to hate me and schedule every PC game after 9 PM, like a buncha jerks.